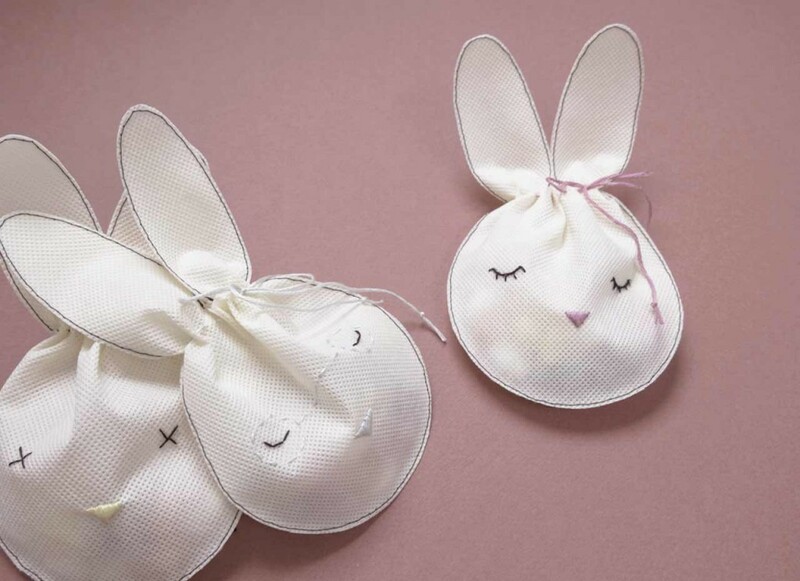 In (NØ)‘s land, Easter eggs are delivered into cute little funny “bunny-head-bag” … An easy customizable DIY idea for the small ones, who will be able to decorate their bunny-pouches and a nice reward for the big ones who will enjoy the sweets inside ! – A piece of nonwoven-fabric, that you can find at any small notions or fabric store, and that you can easily cut without fraying ! – Pencil or taylor chalk. – Bunny-head-bag template to download here. – Embroidery thread and needle or simply color felt pens to draw the eyes and the nose. – Some Easter candies to fill the rabbit head. 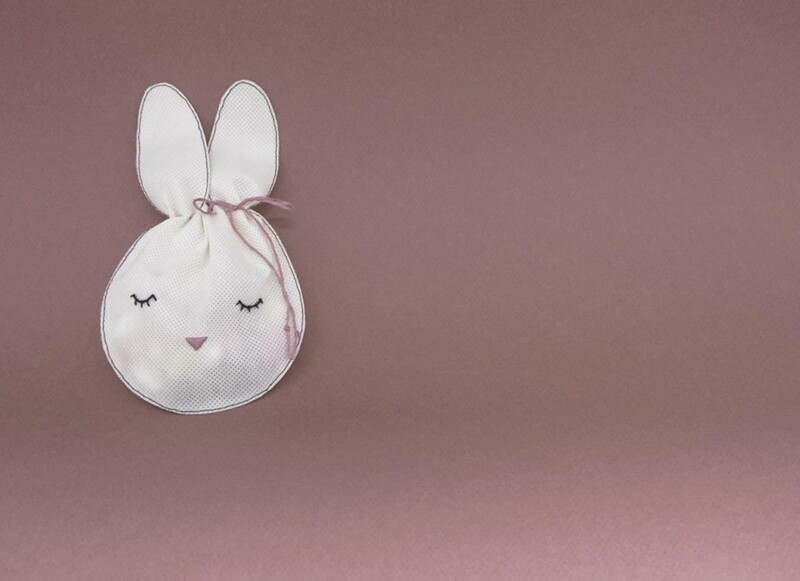 Those bunny-head-bags can be sew by hand or using your sewing machine. How to Do It Yourself ? 1. Trace the rabbit head, the eyes and the nose. Cut two heads, one for the front and one for the back. 2. Embroider or color the eyes and the nose on the front piece. 3. 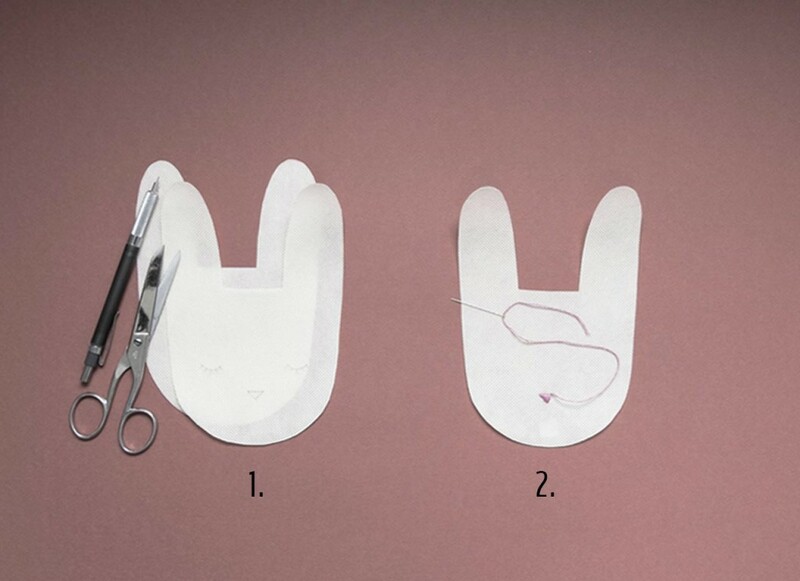 Sew the two bunny-heads together by hand or using a sewing machine, leaving 1mm margin around. Leave free space between the two ears to stuff the head with candies. 4. 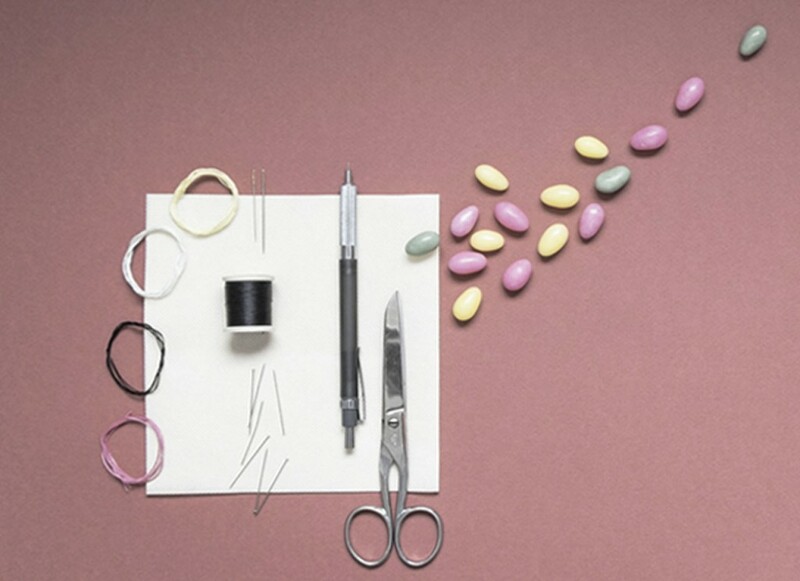 Pass a piece of ribbon or thick cotton at the top of the head using the running stitch as shown on the photo below. Stuff the head with candies and pull the ribbon to close the head. You get a happy-cutty-bunny-head-bag !! 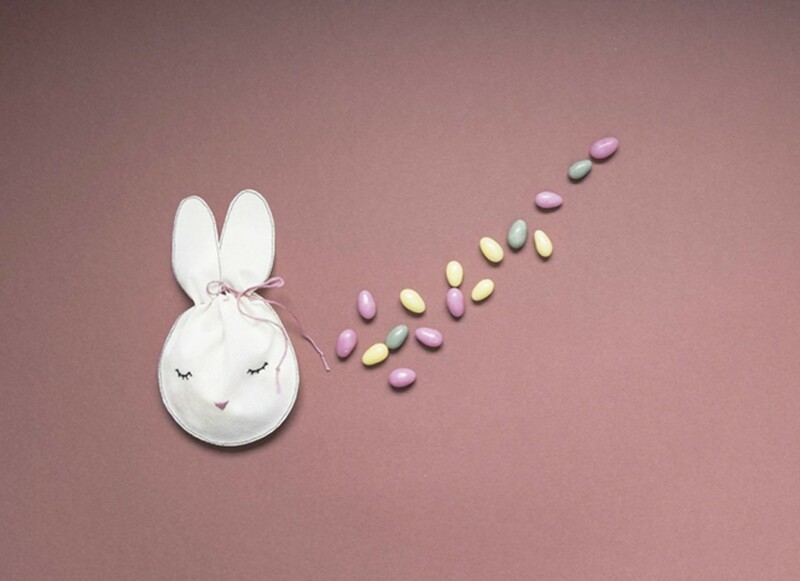 (NØ) wishes you a happy Easter !! Have fun !! Are you looking for other creative projects? 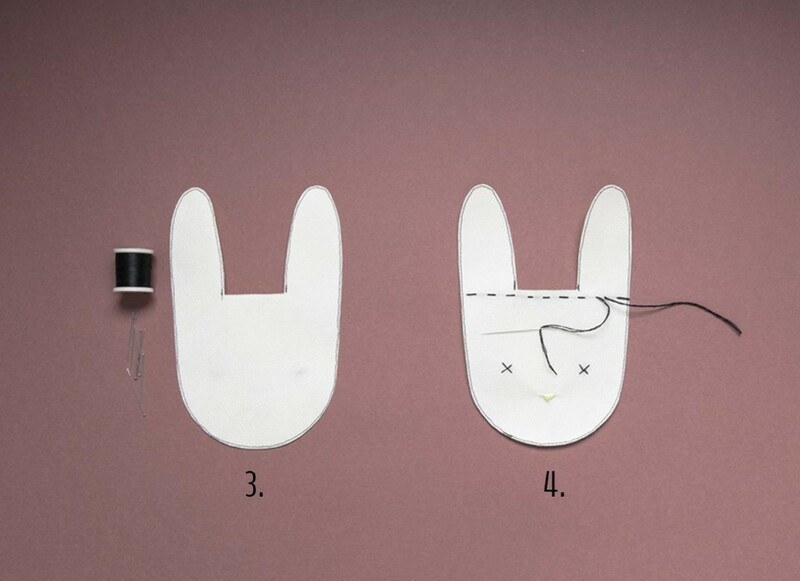 Have a look at (NØ)’s DIY slippers or learn how to create cute little puppets !